This month marks the Alternate Reality Gaming Network’s Second Anniversary! It’s amazing to think it‘s been two years, already. What began as a single message board has become a network of multiple sites dedicated to the promotion and growth of Alternate Reality Gaming as a genre. This last year has seen successful ARGs come to completion, two ARG-Fest-O-Cons in Las Vegas and Orlando, and solid growth of the community. Thanks go out to ARG Planet, Cloudmakers, DeadDrop, Martha’s Boarding House, MetaUrchins, Unfiction, Varin and Jamesi for helping to build the biggest and best community of ARG afficianados around! Now, it wouldn’t be an anniversary without some sort of celebration now, would it? So, we here at ARGN have been working on a little way to say thanks for all of your great support, and hopefully give you a little fun in the process. The result is a little walk down memory lane, if you will. We wanted to give those of you who’ve been around a while a little a bit of nostalgia, and those who are new to all this a little taste of what you may have missed. Consider it an homage trail. Plus, there’s a little bonus: SWAG!! The first one to reach the end of our little trip down memory lane will receive their choice of any item available at the ARGN CafePress Store, along with a $20 Amazon.com gift certificate. 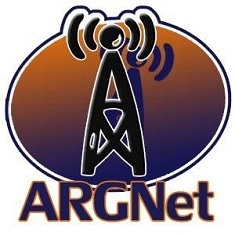 Two runners-up will receive a spiffy ARGN Sticker (I know, try to contain yourselves).